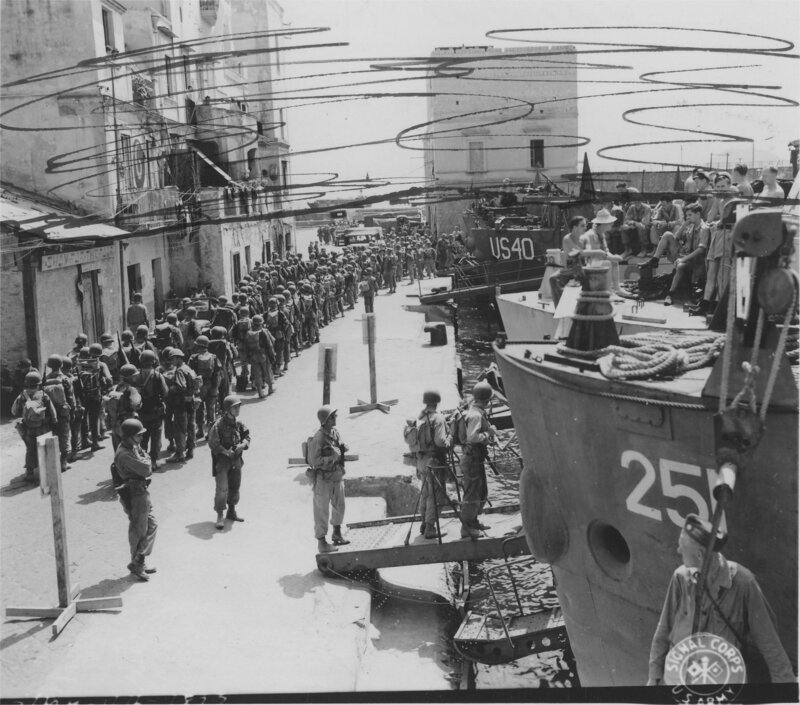 Laid down in 1942, at New Jersey Shipbuilding Corp., Barber, N.J.
365k In a dress rehearsal for Operation Dragoon US infantrymen board HM LCI(L)-251 and USS LCI(L)-40 and other LCIs at Pozzuoli, Italy, 6 August 1944. 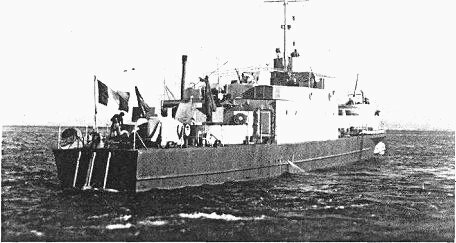 35k RFS L9047 underway, date and location unknown. RFS L9047 served during the French-Indochina War on the rivers in North Vietnam. Photo by Paul Camasses, submitted by Georges Demichelis.